I feel so honored today; and so very happy for my this blog! https://fascinatingworld2016.wordpress.com/2017/01/22/bloggers-recognition-award/ nominated my blog for Bloggers Recognition Award! I truly appreciate it. This is a first nomination that my blog has received and I wish to earnestly thank her for bestowing this honor upon me. Give thanks to the person who had nominated you and a link to their blog. Briefly tell how you started blogging. I started blogging for fun and to do book reviews for authors which I started originally in 2012. 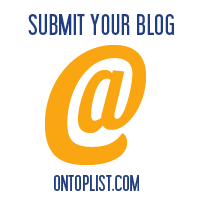 Nominate 5 other bloggers for this award. Comment on the nominated blogs and let them know you have nominated them and give a link to the post you have created. I always loved writing. This Award picture reminds me of the typewriter that I used years ago to type my stories. I began blogging (My other blog, The Reflections, at https://thereflectionssite.wordpress.com/ ) in an attempt to reach out and interact with many like-minded people. I was always interested in all the amazing things hidden in the nature. So started writing this second blog, Fascinating World, a compilation of researched information that describes various unusual and rare phenomena of the nature. Reading every day will keep your mind sharp. Graceful is Donald Trump as it is Jan 2oth 2017-Inauguration of Donald J Trump our 45th USA President! I cannot believe the protesters! Siblings: Maryanne Trump Barry, Robert Trump, Elizabeth Trump Grau, Fred Trump, Jr.
As I read that I do believe Donald will be faithful in office and have our best interests at heart as the changes are implemented. To be able to say I am a part of the history where Donald Trump changes America to a better place. I have all my faith in Him! I read also that the inauguration starts at 11:30 so I am going to be glued to the television set to watch the event unfold. Find updates on the inaugural wreath laying ceremony, welcome concert, parade, balls, and national prayer service. Learn about the swearing-in ceremonies, as well as the military’s involvement in the inauguration events. The peaceful transfer of power that has occurred on every U.S. Inauguration Day is a hallmark of our country’s democracy. Did you know that the first President of the United States, George Washington, delivered the shortest inaugural address at 135 words? Or that William McKinley’s 1901 inauguration was the first one to be filmed? I usually post a WordPress Photo for this weeks Challenge so that will be done another day. God Bless the USA. Helen is an archivist working in a museum and she is in charge of an annual event where she collects money from donors to keep the museum running. Her job is very important to her. A historical discovery regarding a Viking hoard attracts a lot of people and that causes an increase in her responsibilities. Unknown to her, there is something hidden in the artefacts which puts her life, museum and everyone else in danger. Here comes Rune Helsen, a dashing man to her rescue with a secret of his own. His agenda is not pure or clear until the end. However, he does seem to grab the heart of our heroine and as she falls for him, Rune manages to reveal this secret to Helen while explaining the reason why many are interested in the Viking hoard. She tags along with him on this discovery and they are now on a mission, which will continue on as Book 2. I was astonished to see how a short story could contain this much novel content. I was very impressed by how this Author did not waste anytime in including backstory and managed to build enough character to continue with her next book. The paragraphs, literary standard and dialogues were very well put together and easy to understand. There was no fluffing of pages and I was pleased with the mannerism of the entire plot including the twist in the story. The tale does contain sexual content and supernatural creatures such as, Vikings, Vampires and Werewolves. This paranormal romance did also remind me of the Twilight Saga. I recommend this book to anyone that is interested in a short story filled with paranormal creatures.